This week’s Torah reading combines two portions: Tazria and Metzora. In Tazria we read about a woman who gives birth and the subsequent bris for a boy. 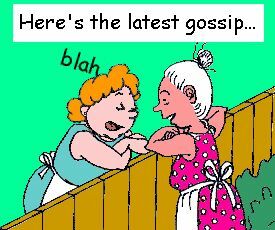 Metzora describes the sin and rectification process for gossip, slander and malicious speech, “lashon hara”. One might wonder about the seemingly unrelated juxtaposition of these two sections. In her discussion about the Parsha, Mrs. Shira Smiles points out an inherent connection between the two: they are both expressions of bris in the body, the former bris mila and the latter “bris halashon”, the covenant of the tongue. We learned that Sarah and Avraham “created souls in Haran” through their use of speech and by imparting the compelling words of Torah to the pagans of their time. In the world of shidduchim, the misuse of words has become an indisputable problem. Many people do not realize the severity of even the most casual remarks regarding a potential shidduch and the possibility of “killing it” if we are reckless with our words. A fine fellow was suggested to a woman that I know. She decided to “check” with her girlfriend who’d dated him a couple of times and ask if she thought it a good idea to accept the date. The response was swift and thoughtless: “he’s not for you. You’re so outgoing and he is really boring and quiet.” This senseless information is exactly what the Torah warns against: destroying worlds with words! This naïve woman abided by the advice of her friend and declined the offer. Several years passed, still single, the very same guy was suggested again. This time the woman was older (wiser) and decided to accept without the usual “checking”. By the second date she realized that although he was quiet, he was not boring at all and actually complemented her personality well. They are now very happily married! Great discretion must be used when giving information about another human being and much thought and concern about the ramifications of my “opinions” regarding the suitability or lack thereof of a couple. To drive this point home, the Torah prescribes the sacrifice of a bird and use of the cedar tree as antidotes for the sin of “lashon hara”. The bird symbolizes idle and incessant chatter because it has no real purpose. The cedar tree being among the tallest and largest trees, symbolizes haughtiness, arrogance and a sense of superiority. This false pride is what leads us to judge others and belittle their worth and capabilities. The two Torah portions are also connected in that both childbirth (Tazria) and the state of leprosy (metzora) bring about a state of Tumah. Tumah is engendered at childbirth due to the loss of kedusha as Hashem departs after providing the newborn with its soul. This is a result of the high status of a woman at the moment of childbirth. In contrast, the Divine Presence departs as a result of our wrongdoing, the misuse of speech, the sin of “lashon hara”. Negative speech, speech that can potentially create divisiveness chases Hashem away! Let us always be aware of the power of speech!